There’ll be an aspect of The Sims you like best. Perhaps it’s building houses held up only by glass panes and willpower. Or maybe it’s building people. 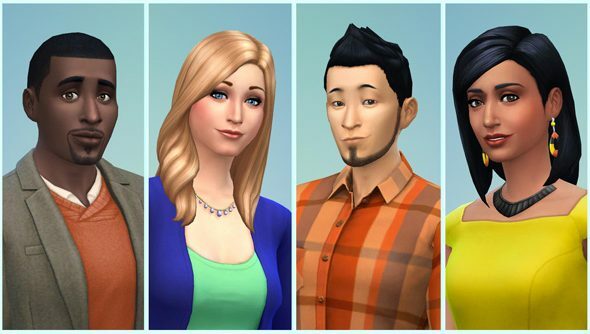 That’s what the Create-a-Sim demo for The Sims 4 is all about – designing humans. Deciding on the cut of their jibs, deigning to pick their outfits, and determining their fatal flaws. I tried running The Sims 4’s Create-a-Sim demo on my PC, but was met by a black screen thanks to a resolution error. That’s hopefully not a representative preview of the full game. Luckier puppeteers than I have been experimenting with sim assembly options, and have discovered that it’s possible to pick a haircut for every occasion. A stylish afro for parties, and a practical buzz cut for swimming. Sliders are available to adjust weight and fitness, as well as ears, eyebrows, chin, nose bridge, nostrils, mouth, cheeks, jaw, eyes and pupils. Posture is a new one – you can give your sim a slouch by dragging on their spine. And then share your, ah, work in the Sims 4 Gallery or on Facebook. I remember in The Sims 2 you could twist poor sims’ faces into perma-gurns. But since then the tools have got more sensible and less Saints Row. For better or worse, do you think? The Sims 4 is out on September 4 in the US, and a day or two later elsewhere. But soon.